Episode 270: Planning our birthdays at Walt Disney World. Just Hanging in the Tiki Hut Talking All things Disney! On this weeks show Steve brings us some of the news thats happening around the world this week. Keith and Sean talk about what they would do for their birthdays and we give some listener feedback from Facebook. Disney Diary just celebrated its fifth anniversary of providing news, views, tips, photos, and videos about Walt Disney World. When you can't be there, you can live vicariously through Disney Diary. Let these Disney Travel Specialists help plan your next Disney vacation. They offer free concierge service to help guide you every step of the way in planning your perfect Disney Vacation. Let them sweat the details so you can focus on the fun. 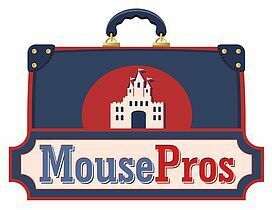 Visit Mousepros.com for a free no obligation quote. Ask for Tiki Bird Sean or any of our great agents. View our T-shirts and support the show.